Energy company Scottish Power has rejected a bid approach from German utility E.ON which would have valued the firm at about £11.3bn ($19.3bn). 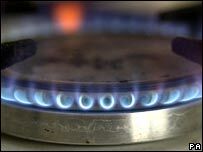 E.ON - which owns UK electricity and gas supplier Powergen - said it had ended bid talks after it failed to win the support of Scottish Power's board. E.ON said it was "surprised and disappointed" by the firm's reaction. Combining Scottish Power and E.ON's UK businesses would have created the largest energy supplier in the UK. Scottish Power supplies energy to 5.2 million users in the UK, while Powergen has about nine million UK customers. E.ON also owns the Central Networks distribution business, which combines Midlands Electricity and East Midlands Electricity, and supplies power to 4.8 million users. The German company first said it was considering a bid for Scottish Power in early September, and made its initial approach later that month. E.ON ultimately offered 570 pence per share - which would have valued the company at £11.3bn, assuming the exercise in full of all share options and the conversion in full of Scottish Power bonds into Scottish Power shares. In a statement Scottish Power said it had concluded the price "did not reflect fair value" of the company. E.ON chief executive Dr Wulf Bernotat said: "We are surprised and disappointed that Scottish Power has chosen to react to our proposal in this way. "We had worked hard to put forward a proposal that would have been fair and attractive to the shareholders of both Scottish Power and E.ON. "There is a compelling industrial logic to a combination of E.ON's UK business with Scottish Power - it would have been good for customers and shareholders alike." Experts said that while the German firm could return with another bid in six months' time, its decision to pull out of the current talks proved the "credibility" of its management. "They (E.ON) have always said they that they would not overpay for acquisitions and this appears to be proof of that," Peter Wirtz, analyst at WestLB, told Reuters. News that takeover talks had ended pushed E.ON shares 2.65% higher to end at 80.65 euros, while Scottish Power sank 5.45% to 538p. The Scottish National Party's Holyrood leader, Nicola Sturgeon, said E.ON's announcement was "good news" for Scottish Power employees, consumers and shareholders. "I hope that the board of Scottish Power will now resolve to keep the company independent for the long term and resist any future bid in the same way that it has resisted this one," she added. But analysts believe that the power firm remains a takeover target, with some suggesting that E.ON's German rival RWE may step into the fray. Other bidders that could be waiting in the wings include fellow UK group Scottish & Southern Energy or French firm Electricite De France (EDF).